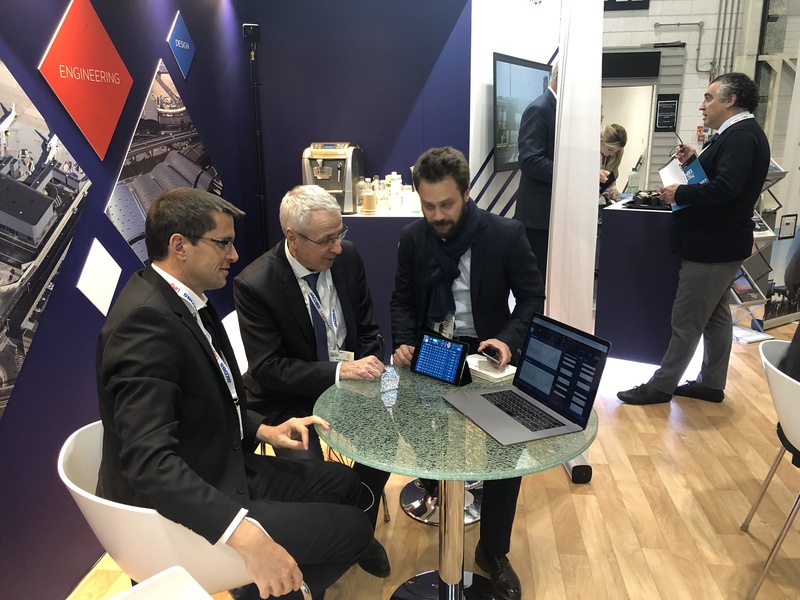 Innov’ATM attended the Passenger Terminal Expo 2019 in London to present GONE (Ground Operations & Network Exchanges), our Smart CDM solution for airports and airlines. Hosted by ADP ingénierie on their stand, this was our first time attending the Passenger Terminal Expo and we were really pleased with the success of our solution among exhibition attendees. We were able to show live demos of GONE to different airports and airlines that appreciated innovative and differentiating features such as mobility, relevant alerts, real-time KPIs and updates making the implementation of the CDM process compelling for operational use. Thank you to the many visitors who took an interest in our solution and our expertise. The PTE 2019 in London was also a great opportunity for us to continue to forge links with Groupe ADP which has been facilitating our efforts to develop our business internationally and increase our visibility in the industry since their investment into Innov’ATM in the last quarter of 2018 (read the Press Release here). A big thank you to the ADPi team for welcoming us onto their stand, we look forward to collaborating on other exhibitions and events together in the near future.